Say hello to this BEAUTIFUL 4bed/3bath/2car garage home with TRULY STUNNING Waterfront view! 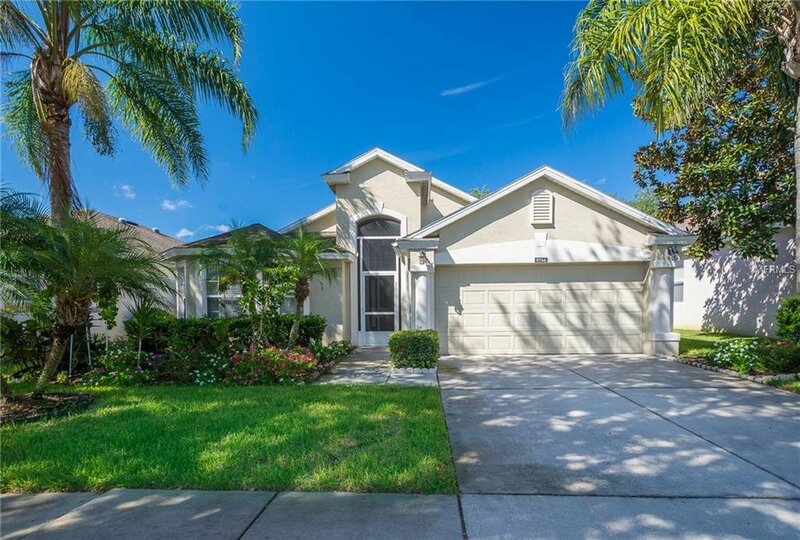 Located in the highly desirable gated golf community of North Shore at Lake Hart. In absolutely GREAT condition, as you enter through the Screened Front Porch you will find gorgeous Tile flooring in the living spaces, rich real Hardwood flooring in all the rooms, modern lighting, formal dining area with built-in Wine Cooler, beautiful Chandelier, and a massive (seriously massive) fully Screened ceramic tile outdoor patio overlooking the picture perfect stunning lake. The exquisitely large kitchen features Luxurious Granite counter tops, Large 42 inch solid wood cabinets, and Upgraded Stainless Steel appliances and Upgraded Washer Dryer, over sized Two car garage. Checkout the magnificent master suite spotlighting a great view of the lake, private walk-in closet with built in, bathroom with dual sinks, and separate shower. PLUS community amenities include clubhouse, fitness center, playground, heated community pool, lakefront fishing pier, tennis courts and more. Move-in Ready! AND really perfect location, minutes away from shopping, fine dining, entertainment, theme parks, major highways (417 & 528), “Medical City,” UCF medical school, newly built VA hospital, and so much more! Water, electric ready for summer kitchen in the lanai. You don’t want to miss out! Listing courtesy of BHHS FLORIDA REALTY. Selling Office: EXIT REALTY CENTRAL.